Thank you for stopping by!! 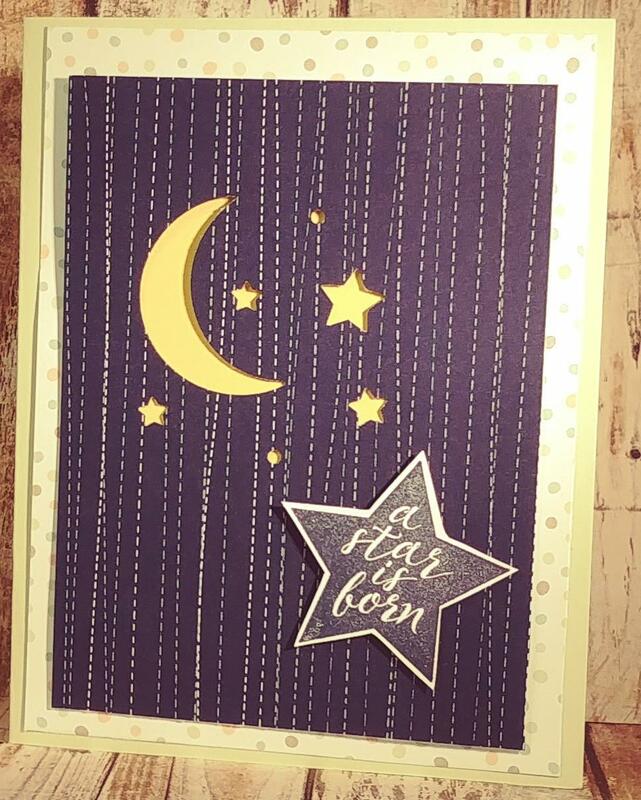 The Moon and Stars baby card was one of our projects for this week's 4 classes. 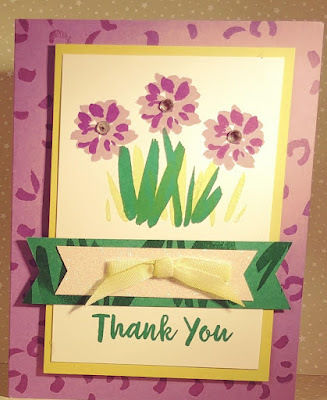 I love the punch and you can use the "confetti bits" on the inside of the card! Totally cute. 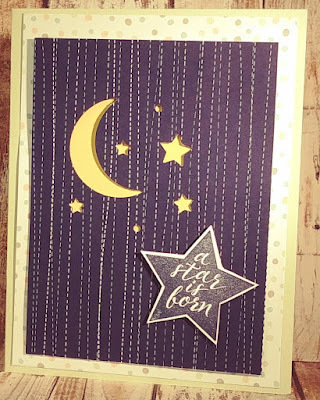 Most students had the "starry night" Twinkle paper for their background but since I had only 2 packages of the Designer Series Paper, I also used the lovely Night of Navy sheets that you see below. Kind of reminds me of shooting stars. My students were so sweet and flexible regarding paper selections. They always are because regardless, they will make a really pretty card!! My friend, Oksana, at www.funstamper.com sent me this lovely card that features our new colors, Gorgeous Grape and Highland Heather. I L.O.V.E. the colors and I love Oksana's designs!!! Have you started your Christmas cards yet? Art Gallery Stampers started in July. I'll share a few of our designs on my next post! Have lots of creative fun!